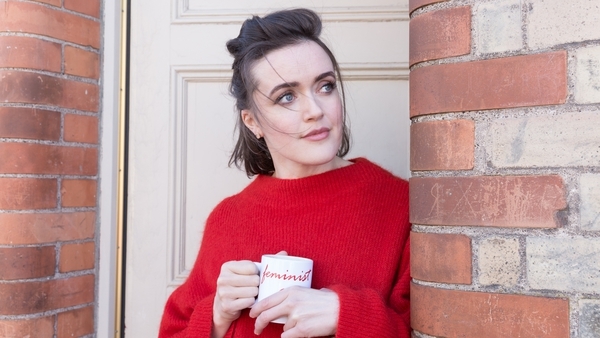 Winner of the RAAP/RTÉ lyric FM Classical Breakthrough Music Bursary, Sharon Carty is a graduate of the Royal Irish Academy of Music Dublin, Universität für Musik und darstellende Kunst, Vienna, and an alumna of the Opernstudio programme at Oper Frankfurt. In recent years, she has sung many of the important mezzo-soprano roles for an array of international companies, and she also enjoys a busy concert schedule of chamber music, lieder and oratorio with numerous ensembles and orchestras at home and abroad. I love a good superhero movie, and while I’ve found M.Night Shyamalan films can be a bit hit and miss, James McAvoy’s portrayal of multiple personalities was really impressive in Split so I’m looking forward to seeing Glass, and while I didn’t manage to get to see Sorry To Bother You and The Favourite yet, they’re on the list! I love the music of lots of composers, but without a doubt J.S.Bach is my favourite. I’ve been to the Thomaskirche (where he worked and is buried) in Leipzig twice, and both times it was a spiritual experience. His music has an inexplicable quality that can allow you to feel both profound joy and sadness simultaneously, and his St. Matthew Passion and Christmas Oratorio are two of the greatest works of music ever written, in my opinion. If you haven’t heard Igor Levit playing his keyboard music, do yourself a favour and go have a listen to his recordings of the Partitas and Goldberg Variations. I’m a disaster for starting books and not finishing them, and I tend to read more factual books than novels. I like to tell myself that this is because I spend most of my professional life involved in storytelling, but maybe that’s a cop-out! I love books on popular science and how things work, and I’m a fan of authors like Robert Winston, John Gribbin, Malcolm Gladwell and Stephen Hawking. At the moment, I’m in the middle of reading Creativity by Mihaly Csikszentmihalyi and The Unfolding Of Language by Guy Deutscher. The last two plays I saw were Druid’s Richard III, and Asking For It, both at The Abbey Theatre. I had neither seen nor read Richard III before, so I was coming to it fresh eyes and ears. Aaron Monahan gave an astonishing performance of Richard. He managed to humanise the character in such a way that you found yourself empathising with him, almost unwittingly. And I find it incredible when a Shakespeare actor delivers the text so that you hear only the character speaking, and not the Shakespearean language. Asking For It was devastating. Just devastating. It was heart-breaking to sit in the theatre and hear people around me audibly weeping. I hope it will come back for another run, everyone needs to see it. I 'Kondoed' lots of my stuff just recently, after watching Tidying Up With Marie Kondo on Netflix, and I’m now a fan of her method. I’ll have to do a more draconian clear-out when I have a bit more time, but for the moment applying some of her tidying and sorting methods has given me lots of space and made things much easier to find! I attended the RIAM’s production of Stephen McNeff’s opera Banished a couple of weeks ago, directed by Catriona McLaughlin and conducted by Andrew Synott. It’s a beautiful and harrowing piece about women who were sent to Australia on a prison ship in the 1780s. The staging and the performances by the students were extraordinary, and the setting in Kilmainham Gaol so atmospheric, and I found myself completely forgetting it was a student production. I’d love to see this staging revived so lots more people can get to see it! My first ever proper piece of art is a beautiful etching by fellow Kildare native Vincent Sheridan, which I bought last year. It’s called Vortex and depicts a murmuration of birds. I saw it in the window of The Printmaker’s Gallery in town and was still thinking about it 2 months later-it’s not often something strikes such a chord, so I just had to go back and get it. The only time I really listen to the radio is in the car. I like the banter on The Nicky Byrne Show on 2fm, he and Jenny Greene are good fun to listen to, and I love Lorcan Murray’s Classic Drive, and Liz Nolan’s The Full Score on Lyric FM, it’s lovely to be able to listen to a full classical work if I’m in the car for a while, and Liz has brilliant taste in music, so I’ll regularly find myself discovering something new that I love thanks to her. I hate to say it, but I’d also be lost without my phone, it just makes travel and getting around so much easier, I don’t know how we managed when you had to look up things like train timetables without the internet! I recently bought a fitness tracker and I find it great to track things like sleep and exercise, and it’s actually helping me be a bit healthier and fitter. I also love my noise-cancelling earphones, they’re a game changer! My siblings gave them to me last Christmas, and they make travelling so much less stressful! 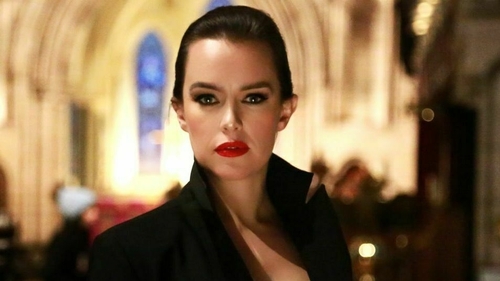 Sharon Carty sings Orfeo in Irish National Opera’s touring production of Orfeo ed Eurdice, currently on tour nationwide until March 2 – more details here.